MJ Optical is a family-owned and operated independent wholesale optical lab located in Omaha, Nebraska offering a full range of wholesale optical lenses and lab services. MJ Optical has been in business since 1963, with extensive experience helping independent eye care practitioners deliver state-of-the-art, in-demand lenses, wholesale eyeglass frames, and specialized optical coatings to their customers. Our approach is to not only provide independent eyecare providers with the highest quality products, but also to offer quality service and fast turnaround. Our independent optical lab supports your retail outlet or eye care practice with accurate, wholesale prescription lenses, frames and coatings at the right price. As one of the few remaining, independent wholesale optical labs in the U.S.A., MJ Optical is not defined by its commitment to specific brands or shareholder demands. That means we can deliver a broad selection of wholesale eyeglasses with flexible price points - to keep the focus on your customer. Our in-house digital surfacing and HD capabilities allow us to process your orders of prescription wholesale lenses and wholesale eyewear frames both quickly and accurately. From wholesale designer eyeglass frames, to free form progressive lenses, MJ Optical provides the quality and variety you deserve, with fair prices and quick turnaround times that you need. *Free pair of equal or lesser value if five Platinum HD are purchased within the same month. Offer expires 12/31/16. *Free lens coating of equal or lesser value if five Miraje or Nyteyez AR Coats are purchased within the same month. Offer expires 12/31/16. 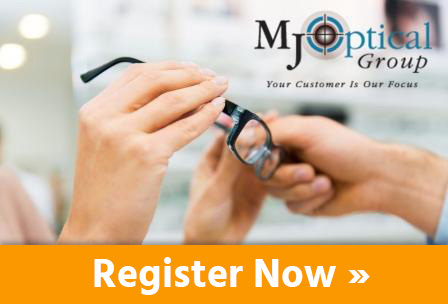 At MJ Optical, all wholesale optical accounts are unique. We value your business, and are willing to work with you to find mutually beneficial terms that satisfy you and your customer’s needs. For wholesale accounts and inquiries, please call Matt at 800.634.9461 ext 114.